Two Indianapolis-based freight brokerage firms, FitzMark Inc. and Reliable Source Logistics, are joining forces in a quest to build a global “logistics powerhouse,” company officials said. Founded in 2006, FitzMark generated gross revenue of about $95 million in 2018 from a combination of freight brokerage and warehousing activities. Reliable Source was launched in 2016 by Seth Litt, a former top sales representative for an unidentified third-party logistics firm. Litt grew the business rapidly, targeting food and beverage shipments, and generated gross revenue of more than $60 million in 2018. “We were at the stage where we needed to put in place more structure,” Litt said in an interview with Transport Topics on Feb. 1. Specifically, the company was looking to hire a chief financial officer and add to its information technology infrastructure. The merger with FitzMark will give the company the financial and operating support to continue its rapid growth, Litt explained. “We saw this as an opportunity to be a bigger player in the state and region,” said Litt, who will now serve as director of sales and business operations for FitzMark. 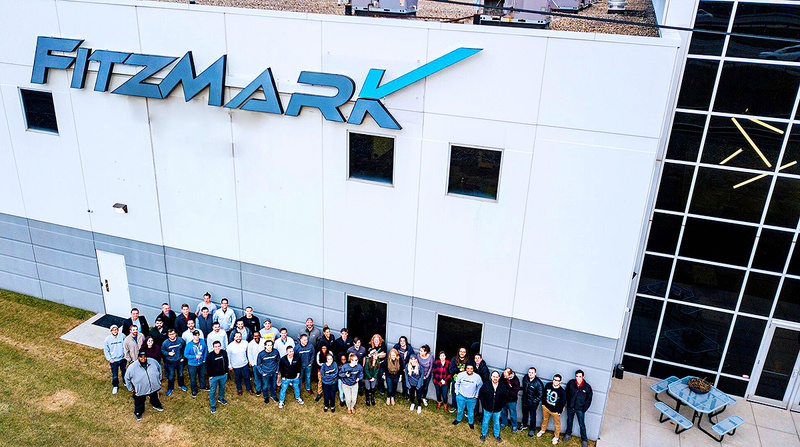 A total of 43 employees from Reliable Source have been retained by FitzMark and will relocate to FitzMark’s new headquarters in downtown Indianapolis. Fitzgerald said he expects the combined companies to generate gross revenue of $200 million in 2019. FitzMark is self-funded, Fitzgerald notes. Fitzgerald also is a part-owner of Keg Logistics, a Colorado-based company that provides financing and management services to breweries and wineries. The company also partners with FitzMark to provide shipping and storage for kegs, brewery supplies and equipment. FitzMark ranks No. 75 on the 2018 Transport Topics list of top freight brokerage firms and offers more than 400,000 square feet of warehousing space with facilities in Indianapolis, Chicago, Atlanta and Los Angeles.